New improved, now on vinyl sticker! 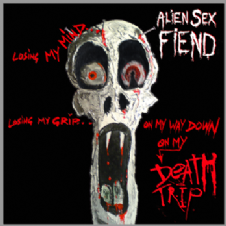 Full colour "Death Trip" CD album design on a square black vinyl sticker. 8cm (3 and 1/8 inches) square. Order 1 sticker and you will receive a 2nd sticker free. 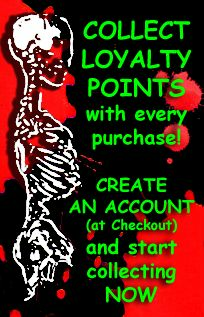 (in addition to the minimum shipping cost).